South facing 15,507 sq. ft. basement building lot ready to go. 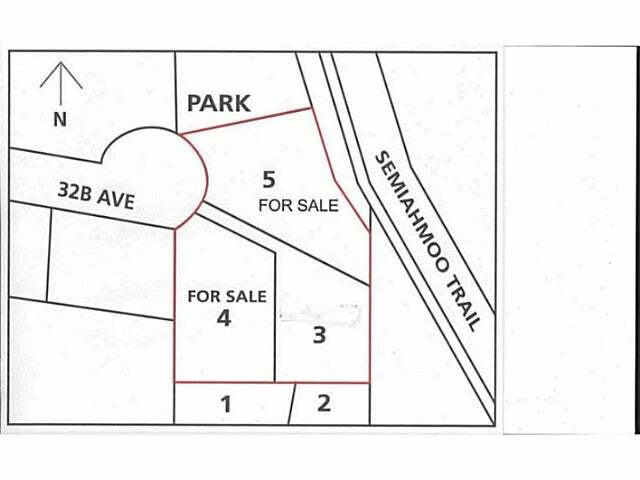 These lots finish off the cul-de-sac of high end homes on 32B ave. near Semiahmoo Trail and parkland. Building scheme in place with Tynan; Citiwest did the development details. Reciprocal easement in place for wide driveway shared by lots 3 and 4. No skinny driveway here- this will be well done. RH-G zoning - 1/2 acre GD with greenspace incorporated in subdivision. Price does not include GST. Lot Size 15507 Sq. Ft.